Missy focuses her practice on estate planning for business owners and individuals. She has worked with clients to both plan and administer estates that have ranged from the very modest to the large and sophisticated. Where the need has arisen, Missy has represented clients in Probate Litigation matters and before Federal and State Taxing authorities. In 2002, Missy became an OSBA Board Certified Specialist in Estate Planning, Trust & Probate Law. She is a featured speaker both nationally and state-wide on estate planning and other related matters on behalf of professional associations. Missy has over 25 years of experience as a practicing attorney and CPA (currently inactive). 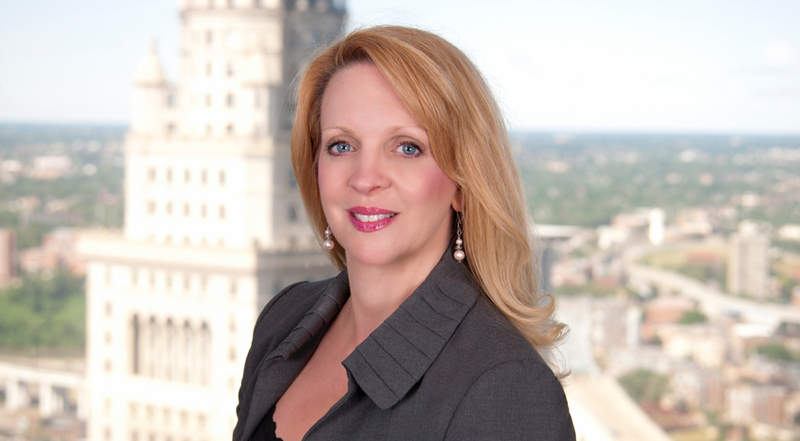 Missy is a member of the American, Ohio and Cleveland Metropolitan Bar Associations. She is past chair of the former Cleveland Bar Association's Estate Planning, Probate and Trust Law Section. Missy is a member of the Ohio Society of CPAs and the American Institute of Certified Public Accountants (AICPA). She has been a member of the Steering Committee for the AICPA's National Advanced Estate Planning Conference since 2001 and is a member of the AICPA ENGAGE 2017- Exhibits Advisory Committee. She is a member of the Estate Planning Council of Cleveland and a former Trustee. Missy is a former Trustee for the Catholic Charities Corporation (1994-2002) and was a founding member and former chairperson of the Catholic Charities Corporation's Planned Giving Committee. She is also a board member and the former chairperson of the Planned Giving Committee of Lakeland Community College. She is also a Planned Giving Committee member of the United Cerebral Palsy of Greater Cleveland. Missy serves as president of the Pets for the Elderly Foundation, a public charity whose mission is to provide companionship to senior individuals through pet ownership, while saving the lives of companion animals in shelters. In 2015, Missy was re-elected to the board of directors for the American Lung Association of the Midland States. She is currently chair of its audit committee and is a member of its fund development committee. Missy is certified as an Accredited Estate Planner® (AEP®) by the National Association of Estate Planners & Councils.